The Deutsche Poker Tour Summer Edition is a success! Rozvadovs King's Casino saw 478 poker players participating in the DPT Summer Edition Main Event. Re-entry was allowed for prematurely eliminated players to get back to the game, the result of which brought the total field size up to 609. The field generated a prize pool of 103,000 Euros for a  195 (buy-in) poker tournament. After three days of battle, 198 players managed to qualify for Day 2. Gernot Kroiß is the chip leader at the start of the day with an impressive stack of 425,500 chips. 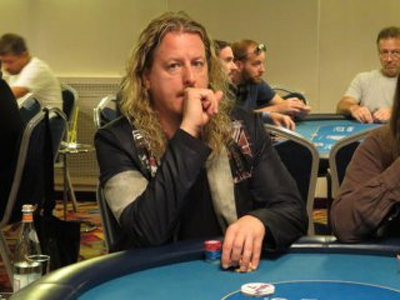 He is the only player of the day to have garnered over 400,000 chips. Huseyin Kurt (380,000 chips) and Stani (330,500) complete the chip count Top 3. Lukás Záskodný, Carsten Schreier and Marius Schneider also have a stack of over 300,000 chips. Other players such as Irfan Yelgin, Sebastian Franz, Vincent Hut and Radek Blaek also secure comfortable places heading to Day 2 battle. 62 players will be In The Money on Day 2. The first player eliminated from the ITM will thus earn  332. As for the Deutsche Poker Tour Summer Edition Main Events first place, he will cash  22,985. The runner-up will console himself with a much deserved  13,994 whereas the other poker players in the final table will pocket from  2,172 to  9,185.